An educational tradition 50 years in the making! We offer cooperative preschool classes for children ages 2 through 5. Our play-based curriculum focuses on a particular theme and concept each month. We strengthen and inspire growth and development through art and music, participation in free play (both inside and out), and joining in circle time. We actively encourage and support each child in learning from, listening to, and sharing with their peers. In addition to our regular class curriculum, we have fun interactive field trips, special in-class cooking days, festive family events and "Special Days," where each individual child is celebrated. Parents are scheduled to contribute to the classroom experience several times each month. 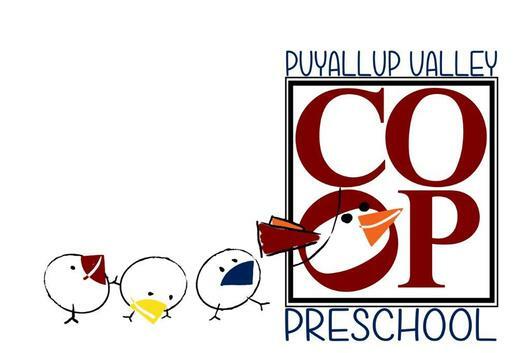 Puyallup Valley Co-op Preschool is currently accepting enrollment applications for the 2019-2020 school year. Applications are available on site as well as online. Another open house is headed your way soon! Please contact Membership at PVCPMembership@gmail.com for information. race, color, creed, national origin, gender, sexual orientation, age, or marital status. Content © 2016 / All rights reserved.